I'm Ruth, 33, mom of two amazing kids. My wonderful and beautiful daughter, Alyssa, is 12. She's my best friend. I love our special days together when it's only us. She helps me see through her eyes and understand the world. My laughing, always caring, and loving son, Blake, 10. He's always there to wrap an arm around me and pray with me. He makes me laugh every second of the day. I've been married for 15 years, senior year in high school, to the man of my dreams, love of my life, my high school sweetheart since our sophomore year in high school, David. He's my rock, my logical side, my reasoning, my love. He truly is my everything. 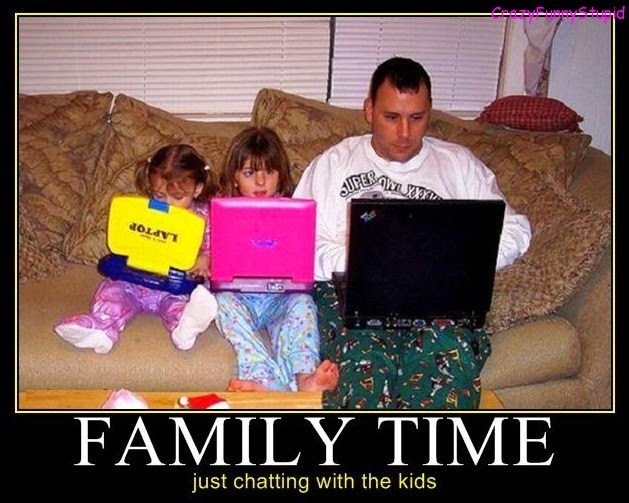 I always hear comments and even complaints about Family Time. I was listening to the radio and a mom said if she could have one thing it would be to know what was going on in her kids life because they just don’t have time to talk. This baffled me. I couldn't comprehend the thought of not talking to my kids, not knowing what was going on each day at school, the newest crushes and breakups. I can tell you exactly what projects my kids are working on, what class, when they are due and when they have a test coming up. We shuffle after school activities, practices and family errands. Does that mean I am supermom? No, not even close. What it does mean is that I am involved in what my kids are doing. I take the time to ask them what is going on in their lives. Even if that means I have to write it down to remember. :) We talk about these things during family time…yes we have that.